Located on the southern fringe of the Rhymney Valley, the town of Caerphilly is famous for its historic castle and the famous Caerphilly cheese. It acts as the commuter link between Newport and Cardiff within the borders of Monmouthshire and Glamorgan. 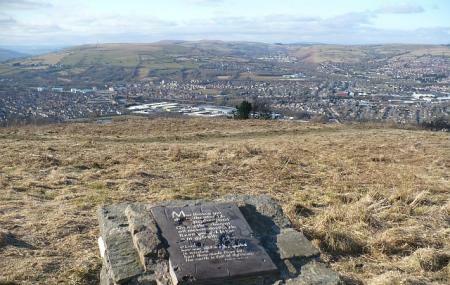 Being the largest town in the Caerphilly County Borough, this town is surrounded by the Caerphilly Mountains. Apart from the mountains, the medieval Caerphilly Castle with its magnanimous towers, the 19th century Castell Coch, the Tudor House of Llancaiach Fawr and the 17th century Ruperra Castle bear the history of the region. To enjoy the natural beauty, you can visit the Forest Fawr Car Park, Morhan Jones Park, Parc Penallta, Cefn Onn Park and the Twmbarlwm. People normally club together Wesley Methodist Church and Battlefield Live while planning their visit to Caerphilly. Right by the town. Not far from the castle. Bus station right outside. Departure boards. Under cover seating. Ticket office and machine. Little shop that does coffee, mags etc. Car park. Clean and tidy station. Always friendly staff. I catch the train from Exmouth via Cardiff and on to Caerphilly regularly at different times and never experience any problems with late trains or rude staff. Can be a bit busy at 8 in the morning but I still always manage to get a seat.